NPEs have been banned already in Canada and Europe. Even Walmart has listed NPEs as one of three chemicals they’re asking suppliers to phase out. Become a label reader. Look especially for “Does not contain…” because manufacturers are not yet required by law to list what is in the product. 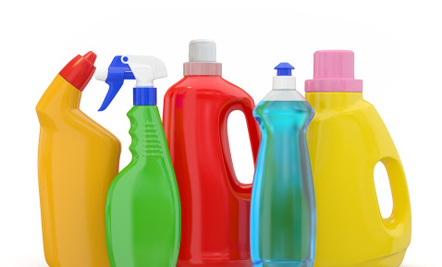 However, green companies will proudly display what is NOT in the product if they want to sell their product to environmentally conscious people like you.Look for “phosphate free,” “no bleach,” “SLE free” and “NPE free.” Look for “biodegradable” detergents since those often do not contain the harmful ingredients listed above. Look for plant- and animal-based ingredients, instead of petroleum-based. Become a Soap Nut! Soap nuts are the dried fruit of the Chinese Soapberry tree (Sapindus mukorrosi). People have been using these natural soap-releasing berries for thousands of years, and they’ve recently caught on in the U.S. Wear it more than once. Too often, we just toss our clothing into the hamper after wearing it, out of habit, without regard to whether or not it’s really dirty. Washing less often also extends the life of your clothes. Wash only full loads of laundry. It’s more energy efficient. Try making your own detergent. Here’s one formula costing pennies per load. Ditch the dry cleaning. Traditional dry cleaning is a very un-green and toxic process using harsh, carcinogenic chemicals, such as perchloroethylene (aka “perc”), which has been linked with a variety of cancers and other problems. Many “dry clean only” products can be safely hand washed. For those that can’t, try to find a greener dry cleaner in your area. If you’re interested in the Enzyme Formula we produced, you can read more about it here! Thank goodness that there are more and more non toxic detergents on the market these days.